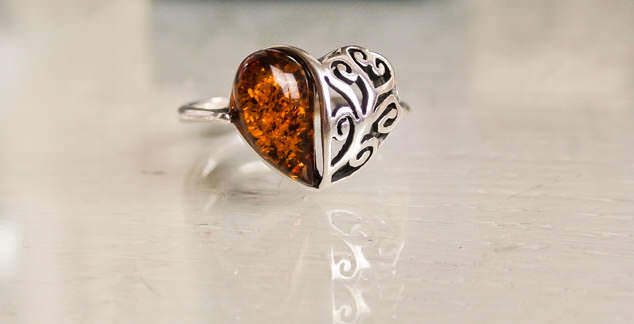 For any of my long time readers you will know that I love rings, in particular silver with amethyst or amber. I was so excited to be able to pick my own piece of jewellery from Henryka and took such a long time deciding what I would like. 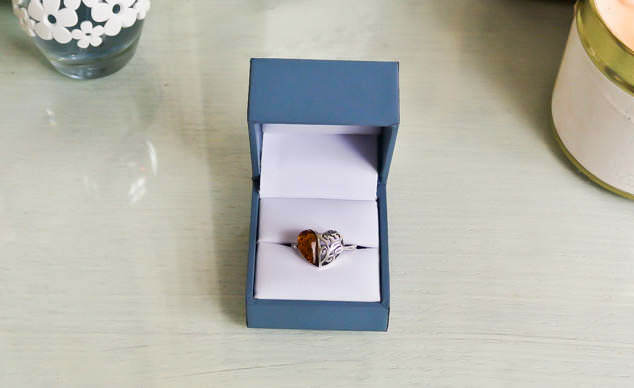 After much debate I chose the Amber & Silver Half Scroll Heart Ring in shade Cognac although it is also available in Cherry. This design also has matching items as a necklace or drop earrings. The ring came so quickly in a little matte blue box with silver swirl detailing on top. My ring is such good quality and is really comfortable to wear. Even though the ring is a delicate design it is still very strong. I wear a lot of swirl and Celtic silver jewellery and the scroll design on the heart fits in really well with my other rings that I wear regularly. The amber teardrop cabacon looks so effective, working in harmony with the silver scroll half. Henryka isn’t a shop I have ever heard of, they are based in Hereford but if you aren’t local like myself it has a great and easy to use online shop. Henryka design their unique, hand crafted silver and amber jewellery. There are some really cute pieces in their collection as well as some really elegant and beautiful designs. There is a lot to choose from including brooches, bangles, earrings, necklaces, rings and pendants. I much prefer independent, custom, handmade or one off pieces of jewellery as you are less likely to see anyone else wearing it and more thought seems to go into the design and look of the piece. Have you ever bought anything from Henryka and what is your favourite style of jewellery?